that live in the pines around the court; probably more than the dozen we’ve been able to identify. The cats are not too concerned about the squirrels, it seems. One would think felines would attack (or at least chase) the varmints out of the yard. The Oak Court Cats don’t chase them off; they don’t defend their territory at all. They just sit there as the squirrels scamper around the yard. I tried to figure this strange behavior out, googled a number of sites, asked my vet as well. At one point I even contacted the county agricultural office to see if they could explain this behavior and was not able to get an answer. 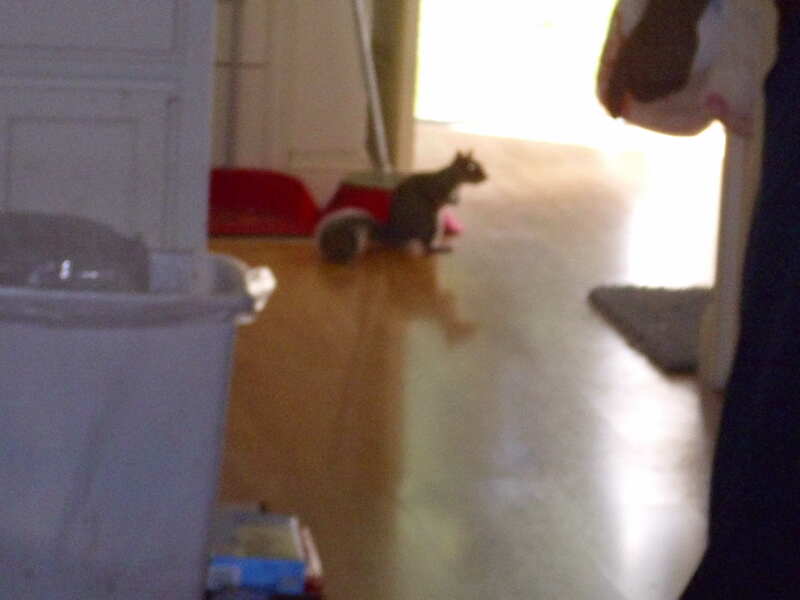 On more than one occasion I was told “Cats chase squirrels”. But they don’t. At least here they don’t. Now, the squirrels come here for a reason. Peanuts. We will occasionally toss them a peanut. Now don’t go wild and call someone and complain; we toss out roasted but not salted peanuts only. Don’t want to be accused of causing high blood pressure amongst the squirrel population. This has gone on for a few years now and the cats get along with the squirrels; there’s been no attacks that we know about. Lately we’ve noticed the squirrels have become a bit more aggressive. 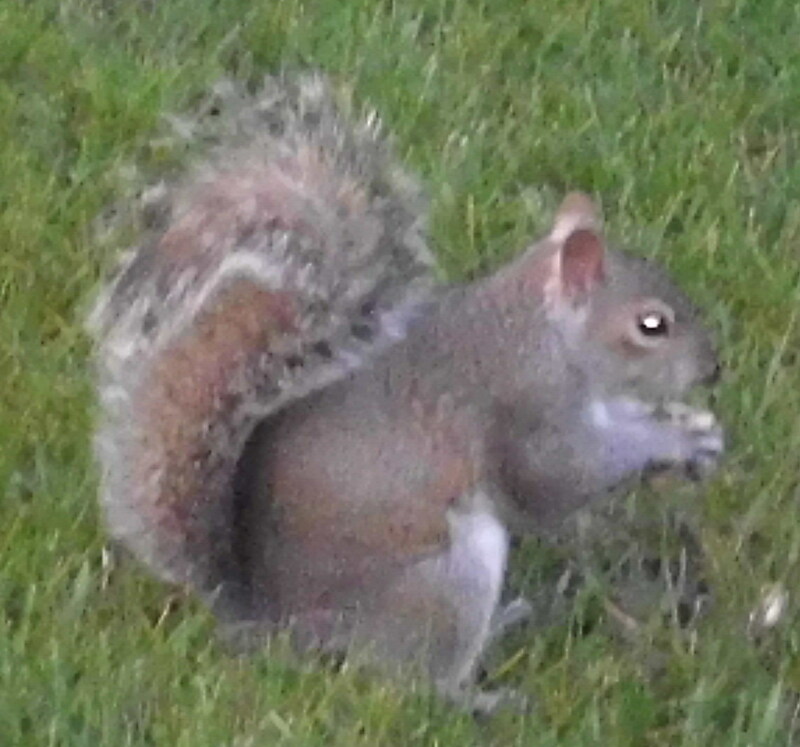 2 of their community have been seen sneaking into the house, searching for the peanut stash. One of them, probably the ring leader, actually climbed up on the sofa. (One of the cats was there and didn’t move at all). Others have taken to standing on the picnic table staring at the back door, sometimes standing on the back step, watching us as we walk around the kitchen. I’ve been in the garage doing the laundry and have experienced that feeling you get when you know you’re being watched. Yes, a squirrel was be up in the rafters staring down at me. It was inevitable, at some point they would attack the house and find the peanut stash. A week ago they made their way in and found the peanut bucket. 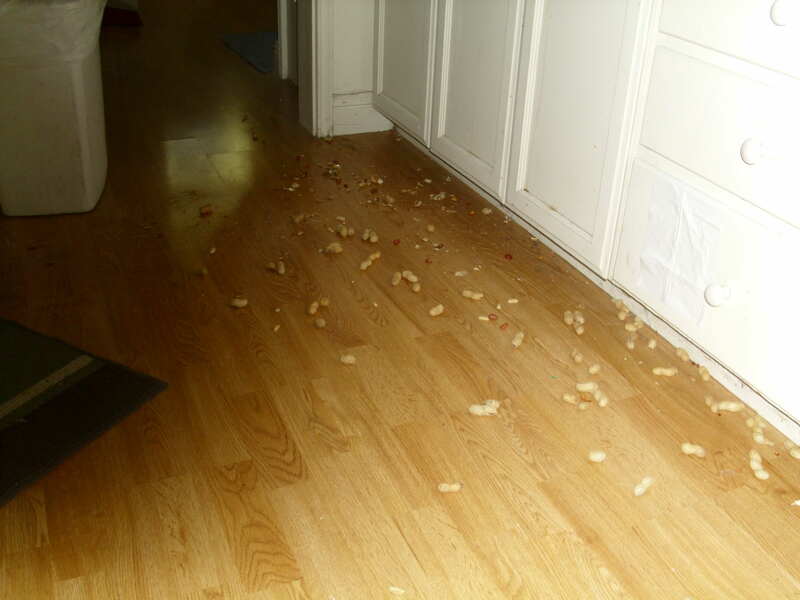 I arrived home from work that evening to find the remains of a 2 pound bag of unsalted roasted peanuts scattered across the kitchen floor and a trail leading out the back door. You can’t seem them in the picture, the Oak Court Cats. They were not there, anywhere. As far as I know they helped the squirrels to the peanut stash, probably held the cat door open so they could come in and make off with the nuts. We’re a little more careful after this assault. The peanut stash is now kept behind a closed pantry door. We try to chase the squirrels away from the back when we see them begin to congregate. Will this work? probably not. The Oak Court Cats probably don’t see the squirrels as a threat. After all, as one of the cat’s tried to explain, they eat peanuts and we don’t.